The start of a new year is a great time to look back at the past year and do some self-evaluation. At the beginning of 2015, I had one goal for the Business of Architecture platform (this website and the free and premium resources I provide here): to dramatically influence the lives and practices of 150 architects in 2015. It was code-named the 150|015 project. I'm happy to look back on 2015 and say that we achieved this goal! The Small Firm Practice Management Bootcamp I co-produced with Rena Klein, FAIA. It's hard to quantify the impact business of architecture has had on those who participated, but the feedback has been truly astounding and humbling. My mission here at Business of Architecture is to make sure that lack of money and projects don't stand your way to an exceptional life and income. For 2016, my goal here is even bigger – to magnify and improve the resources here on Business of Architecture. 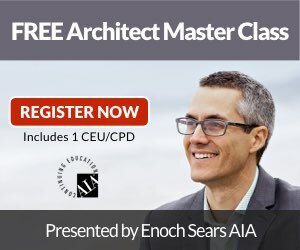 I'd like to help 500 architects through the premium resources I provide here on Business of Architecture. What is your big plan for this year? Let me know in the comments below. This blog post is part of the #ArchiTalks monthly blog series. Read below for a special message and links to other Archi-bloggers.